A Northampton man who threatened to post intimate pictures of a woman on the internet during a sustained campaign of harassment has been given a suspended jail sentence. 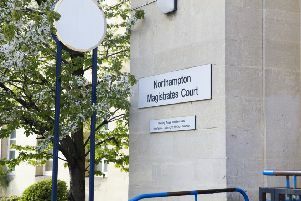 Gwuilyai Piki, aged 20, appeared at Northampton Crown Court after he admitted a six-month campaign of harassment last year. Raglan Ashton, prosecuting, said Piki was very “aggressive” towards tht ewoman. In May 2015, Piki sent a series of text messages to the woman containing threats of sexual violence and he suggested that he may disclose intimate photographs of her online. A month later, Piki then threatened to destroy some of the women’s property. Her Honour Judge Adrienne Lucking sentenced Piki, of Abington, Northampton, to six months detention, suspended for 18 months. He must also complete 150 hours unpaid work.